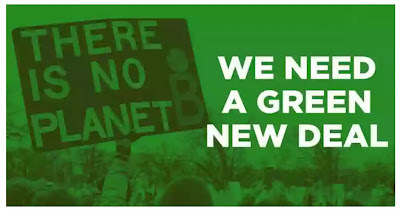 Join local students, parents, seniors, workers, and business owners FRIDAY MORNING, FEBRUARY 8 at 9:45 a.m. at the office of US Representative Ron Kind (205 Fifth Avenue S, La Crosse) to deliver a letter urging him to CO-SPONSOR and SUPPORT GREEN NEW DEAL LEGISLATION. "For too long, fossil fuel executives and the politicians they bankroll have actively sowed doubt among the public about climate change to protect their power and profits. All the while, Indigenous peoples, communities of color, and low-income families around the world suffer the worst impacts of pollution and the climate crisis. "Scientific experts have sounded a clear alarm: our window for action to prevent catastrophic climate change is quickly closing. That’s why we’re calling on elected leaders like you to fight for the bold, just climate solutions we need — before our communities and the planet run out of time. "We need bold solutions to protect communities on the frontlines of the climate crisis — not big polluters’ profits. We need real climate leadership. We need a Green New Deal." Rapidly decarbonize the agriculture and transportation sectors, and expand access to public transportation. ALL ARE INVITED to join this event to show support for moving from fossil fuels to renewable energy as quickly as possible! If you come, TAKE THE BUS! Most MTU buses will arrive at the downtown Grand River Transit Center at 9:40 am. It's just a block or so from there to the office building at 205 Fifth Avenue South.